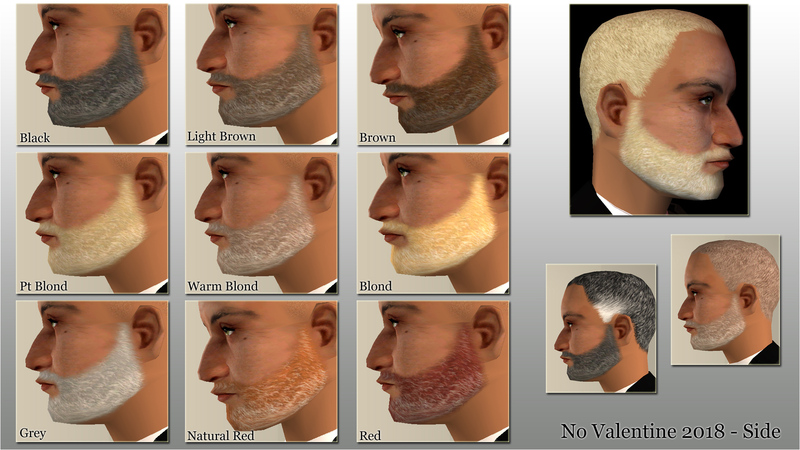 5 styles available : 'Original full beard', 'goatee', 'chin strap', 'cop' and 'friendly chops'. 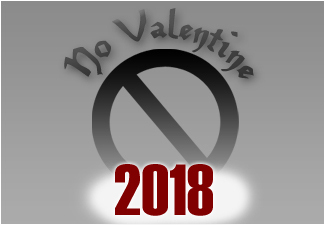 Valentine's Day has often been my anniversary of broken relationships, I guess I am cursed, lol. Has Valentine's Day been kind to you along the years? What are your plans for this one? I have a new set for you. 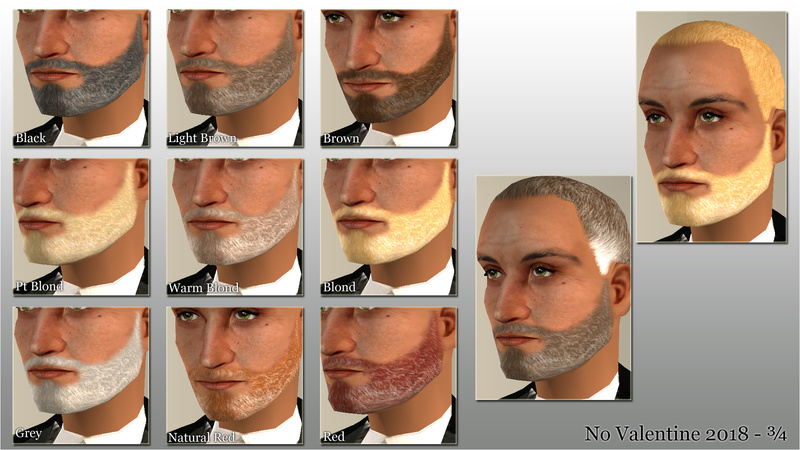 I made 9 colors from the beard of one of my sims (Tywin). Adults and Elders only, it has a lot of grey in it. 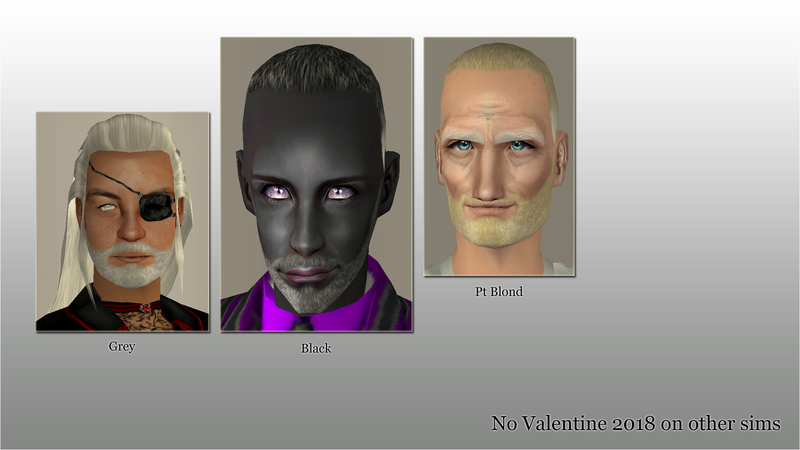 I am not planning to make non-greying colors. 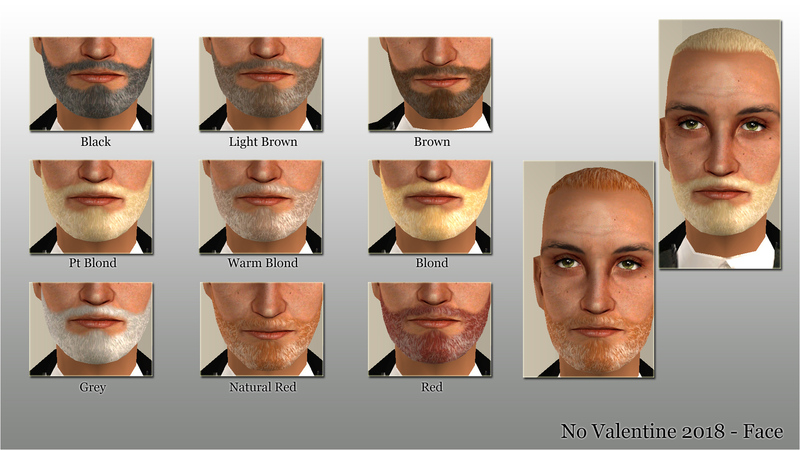 For non-greying beards, try MTS' Facial Hair section, try Garden of Shadows, try Simplelife Chagasi's website, try your favourite creators' blogs, try Google. All colors have been properly Binned + Familified and regrouped in 1 file, so it's more convenient for your Downloads folder. The elder's grey is in the black, there's an extra Silver shade for adults in the Custom Colors bin. 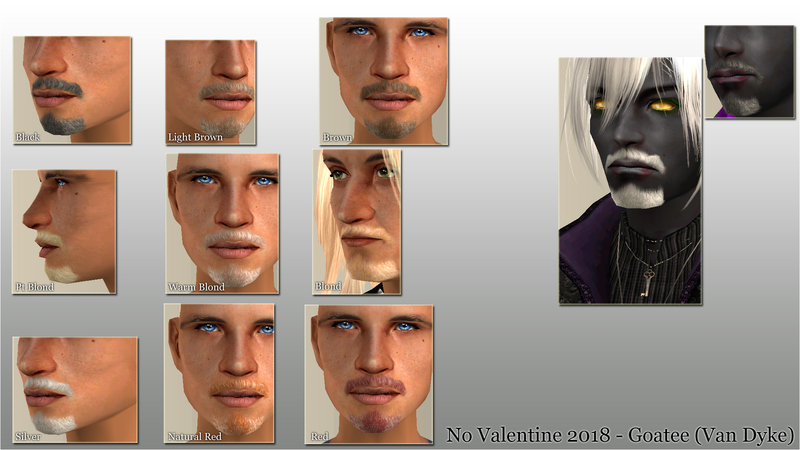 Please DON'T delete any of the 9 shades here, it is a grouped file, if you delete one shade you delete all 9. If anyone wants to recolor this in Pooklet colors or anything, feel free, as long as you credit me for the original sets here. 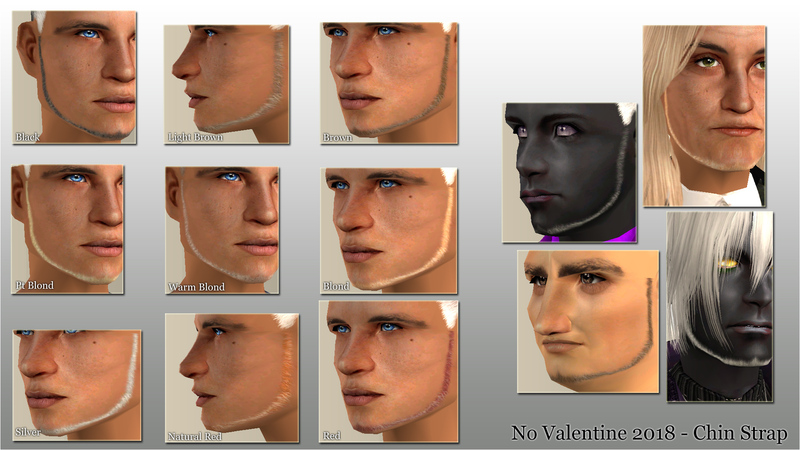 Full Beard : You can get 1 more color immediately, Lannister blond on my sim of Tywin, but it's not binned. It's available as a separate download on Tywin's thread. 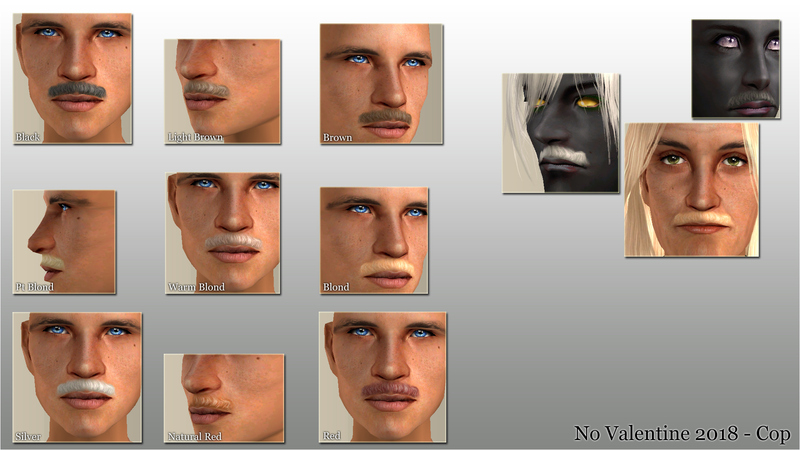 Models used : Sims from my set of Minecraft Sims. For the list of CC used on them, please check my post there. Scroll down to the bottom of the page, click the Credits button, and you got it. 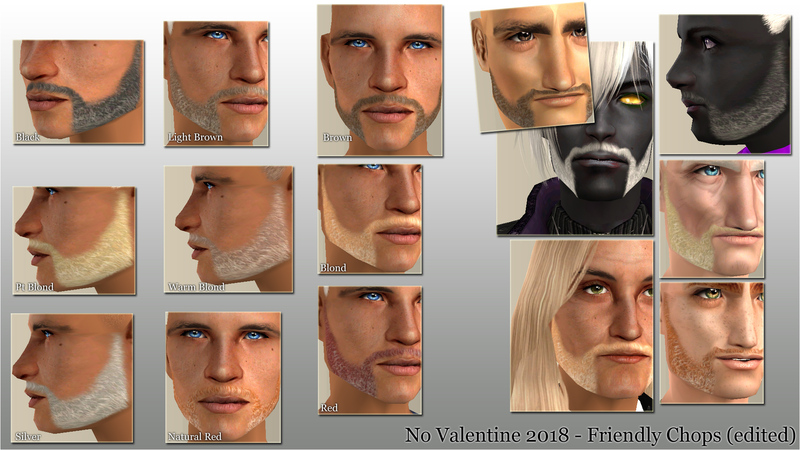 Credits : I made the full version of this beard from scratch when I made Tywin. It even had an ugly previous version, lol. 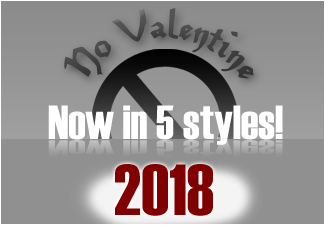 Remix versions of this set (the 4 new styles) have been inspired by Phaenoh's Stache Blast set, and have used SleepyTabby's alphas, at the exception of 'Friendly Chops' which is using a mix between my NV2018 alpha with SleepyTabby's. [Close Shave] So Much Facial Fuzz..